Chuck McCoy: Very nice George and touching. A coincidence – I too was a student at Silver Heights Collegiate and a classmate of Ken Porteous. Of Course, I knew Rick and Bill as well. I actually worked with Rick at CHUM. My daughter is a registered clinical therapist in Vancouver and I often ask her to try and explain where it is that these people go and feel that suicide is an option. I still don’t understand. I am still dismayed and saddened that Gary’s wife Joan took that option a year after Gary’s death. It is even more meaningful to me now after surviving a heart attack last week that was so massive, my surgeon said very few people could survive what I experienced. I am looking at your “Second Chance at Life” with a bit different perspective now. Geo: Chuck, I’m still in shock about “Young Joan’s” departure. Doug Erickson: We hide our wounds as long as we can, like all animals. Sensitivity to others’ pain can be such a gift, but those that have it sure pay a high price for it. I hope your post persuades just one of your readers to pick up the phone and call that old friend and check in. Enough of FB and email. Nothing beats hearing the voice of a friend. Bill McDonald: A nice tribute to one of the nicest guys of radio gone by. Thank you, George. I’ve passed your link on to his widow, Rachel. Rachael Hallson: Oh my this is beautiful…it would be Rick’s 71st bday Sunday. Bob DeCarlo: George, I learned more about great radio from you in a year and a half at KOGO than in the 20 years before you. Wish we could have kept going. Your mentoring led to 14 years of success in Tampa Bay. My thanks, forever. Geo: Thank you for your kind words Bob, but pat yourself on the back, you were the one who gave me permission to coach you, that’s the only way it happens. Most of the air talent today don’t realize that they need coaching and it’s costing them a lot of money. Hell, even Tiger Woods wouldn’t pick up a club today if he didn’t have a coach. Doug Herman: Re your comment that no great story ever started with, “So there I was, eating a salad.” Back in the big bucks days when Jack McCoy and I had our promotion company housed in one of the shiny new downtown San Diego high-rise office buildings, we worked with a guy who, when we were on an elevator by ourselves, would occasionally wait until the elevator stopped at any random floor before our destination, and as the doors opened for someone to get on, would casually “continue the story” …. “So there I was, stark naked ….” Sometimes people would back out of the door and wait for a different elevator. I’m sure they heard us break up as the elevator doors closed. Jim Harper: Regarding your idea of Radio doing “product placements” instead of just spots…we did that at Magic in Detroit and with great success. It’s tricky…it makes the lawyers very nervous (we did disclaimers at the end of every hour to indicate we’d been paid for mentions), but it CAN be done! The salespeople created a whole new item on the rate card for it and it appeared on the log as a unit (we called them Poz-Mens for positive mentions) and the morning show simply figured out a way to bring a product or service up in natural conversation. Just like on TV shows or movies, but it’s more challenging since it can’t be seen sitting on a desk or in someone’s hand. Be glad to explain it in detail if anyone’s interested. Clients loved it and it was added revenue. It did NOT impact the spot load per hour. So once again George, you’re onto another great idea. Close minded/nothing should impact the product-people/ won’t get it. But it’s as old as showbiz itself. And it makes the talent very sharp. Geo: Excellent as always Jim. Robin Solis: Brilliant idea. And you do it yourselves. You don’t need no steering 3rd party to do it for you. My partner and I thought up the radio mall before anyone else bc we belonged to a barter trade group and used cards to talent or others to pay them for VO services, etc. In (mostly) restaurant trade. But after working the numbers on the idea as a syndicated radio show, we decided not to pursue the radio mall (up to 50 % off) idea. This was the early 1990s. Went into software for radio spot delivery instead. Much easier to use SW to do your work. Loved hearing about your idea. equalization/processing, so they really did not need any tweaking. They were perfect even the short logos and blew away any record, any commercial, and if the announcers were not outstanding, the jingles would blow away the talk. The best of the bunch was “It’s A Shame What Happened to Radio”, “When You’re Leading The Parade”, and “It’s A Nice, Little Sound”. Hugh said “It’s A Shame…” was an homage to the big band radio days of his Golden West days at KSFO and KMPC. I do not think he could imagine the horrors of what was to come after the ownership limits went away. WIBC’s 1974 Heller-Hamilton package was great, but “Big, Bad, Better K-V-I-L” was superior to the Indianapolis versions. Geo: Hugh’s stuff was outstanding Jed and the main reason KVIL’s version sounded better was two-fold. Hugh cut WIBC’s with the mid-range punched up so they actually sounded better on the air than in the studio. KVIL’s, on the other hand, were processed to take advantage of the station’s fidelity and stereo. Also, the singers loved punching the K of Kay Ville whereas they had to sing the double you of WIBC. Shaun Holly: Hi George…after listening to the KVIL piece and the Great Race…hope you (or someone) protected the name and concept for later in TV history. Shaun Holly: What a great piece of historical creative entertainment! From the clever contests and promotions to the jingles and the jocks! I remember it so well…we could sure use it today. Thanks for sharing George! Peter McClain: Remember Z97 in 1978? We found out how good KVIL was but we made a great attempt. We stung you a little bit for a little while. Chapman was trained by one of the best, Gordon, on KLIF. We trained under the other best, Todd Storz. I think Fairbanks and class ran together in all their markets. Geo: You’re right about Todd and Gordon Peter, they were the best. As bad as radio is today, I doubt there’d even be any if those two gentlemen hadn’t saved it back in the day. Ron Chapman: On my list of “most unforgettable people”, I have Jack McCoy as second behind Jerry Jones. The first thing I remembered was “he who controls the verbiage, controls the buy”. Geo: I, like you, Ron, have many McCoyismns still swirling around in my head. Also, I’ll never forget the first recording session that we all did together at KVIL. I hope you’re doing well old friend? Candis Johns: Jack McCoy is one of my dad’s coolest friends. I remember when he would visit us in Indiana, as was sometimes the case with various radio types. Even as a young kid I could see he was smart as a whip, witty, and funny. 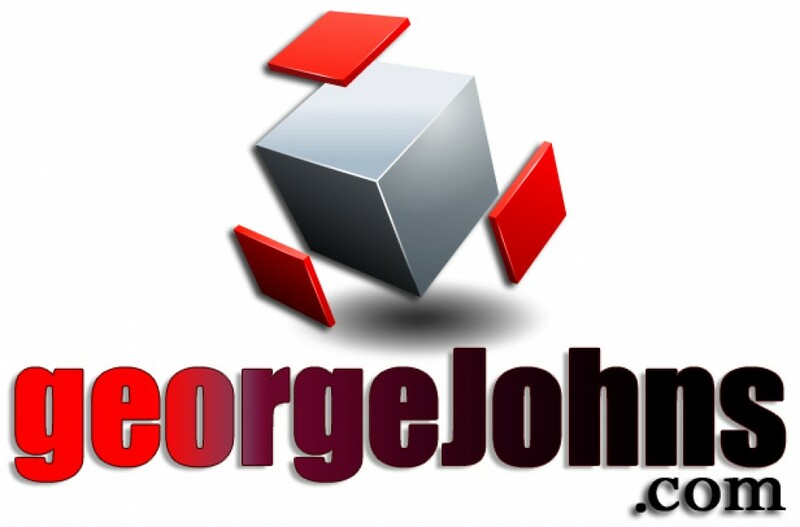 For some sneak peeks at some upcoming Geo’s Media Blogs, go to GeorgeJohns.com. On Twitter @GeoOfTheRadio. Sharing and comments like those above are greatly appreciated. Love those comments George. I can clearly see that you found the answer to the second most important day in in your life, “why you were born “. It is apperant that your love of the business, the friendships you have made and the hard work ethic you developed have made you well respected throughout your career. Well done mate. Thank you for your nice comment Bruce and know that I still cherish the time we spent together on stage, rockin’ the joint those many years ago.